When you have limited time for lunch, fast food is the quick way to satisfy your tummy. Teriyaki Ninja – with one juicy pork patty, a slice of tomato and only one thin slice of lettuce; dressed with teriyaki sauce. I thought teriyaki sauce will be in dark colour, but this one was in light yellowish and tasted sweet. 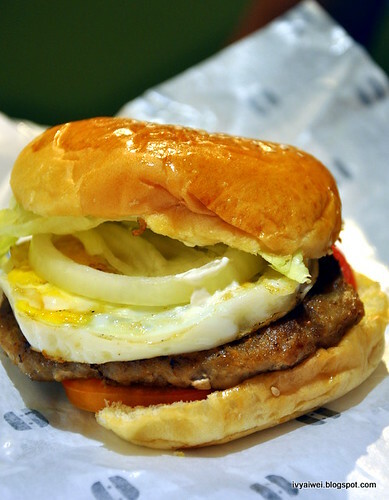 The Big Boss (RM 8.50) – with juicy pork patty, onion, tomato, lettuce and an egg. add fries and a drink of your choice at only RM 3.90 with any purchase of burger. 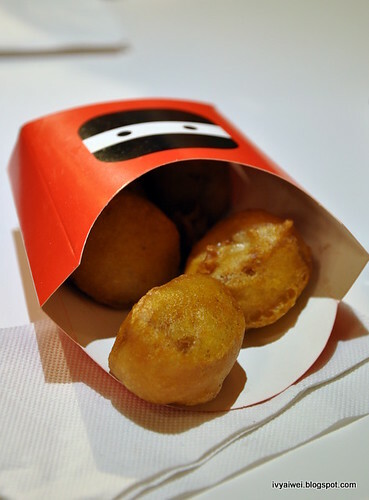 Tanto (RM 4.90) – fried tofu with pork fillings. I love this; crispy on the golden outside and soft fluffy inside with minced meat and tofu and carrot and other ingredients. I enjoyed my pork burger a lot. 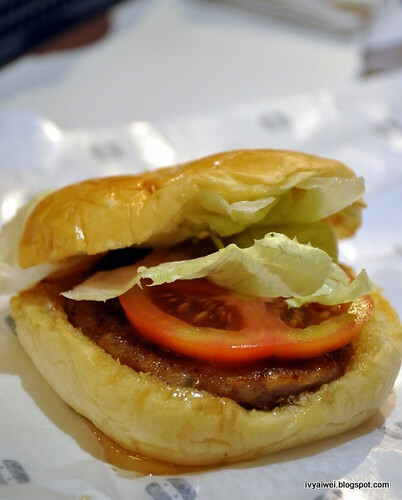 The pork patty was really juicy and well seasoned, grilled to perfection. Just a small complain – the serving size is small! If you have a larger appetite, I bet this solo burger may not able to fully-filled your tummy. I tried out few Ninjas 2 days ago. For the Spicy Ninja, the pork patty was covered with chili paste and it was really spicy. 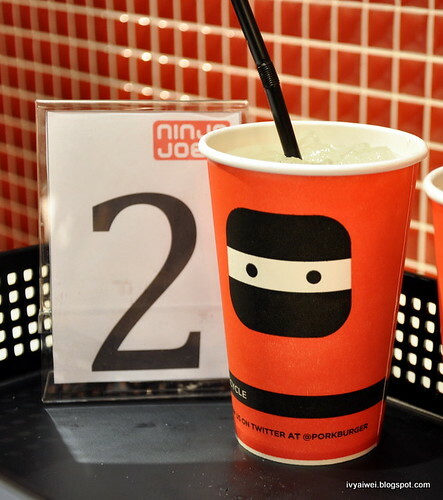 The Original Ninja was a little dry as there isn’t any sauce to go with the burger. I love Black Pepper Ninja too, the black pepper sauce was not overpowering with the pepper and the amount was just nice to go with the ninja. Heyyyyy-yakkkkk! Ninja, here I come. Okay, i must say, this is a place to satisfy my sudden crave for pork burger without travelling far. i would definitely love to try this Ninja as well. 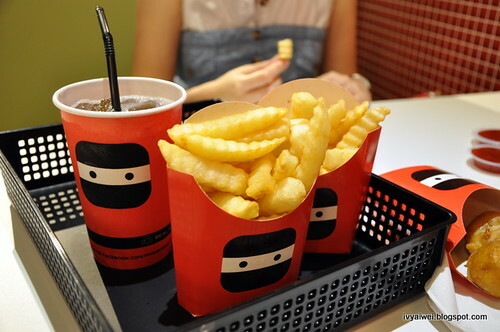 In fact i love this type of fries thick, fat and juicy!! haha 🙂 i think singapore got lots of chain like this??? do try out if you love juicy pork patty. but the serving size is bit small. Wow! The burger is very juicy and big 😀 I love the logo of the shop too, very cute! 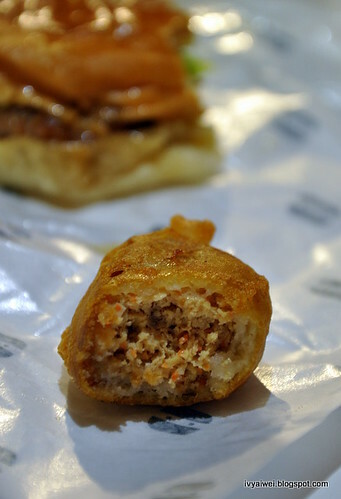 the pork patty is indeed juicy but not that big actually. yep, i do love the logo, super cute one! Hmm…pork burger in The Gardens huh. Why I never bump into Ninja Joe one when I go there? But look quite small wor the burger. Finally, it's opened in The Gardens. 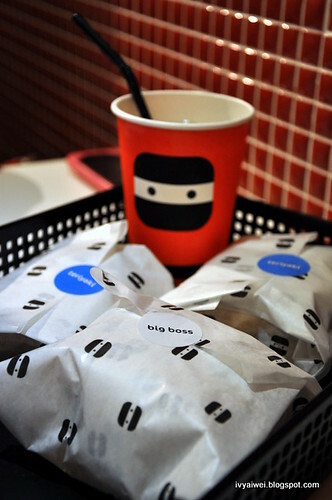 I would usually go for their Big Boss. agree, can try different variety. hehe 🙂 you are welcome. just newly open for business. got some other new (coming soon) on the menu. it's Bruce something. From here, i seen a lot of new picture. 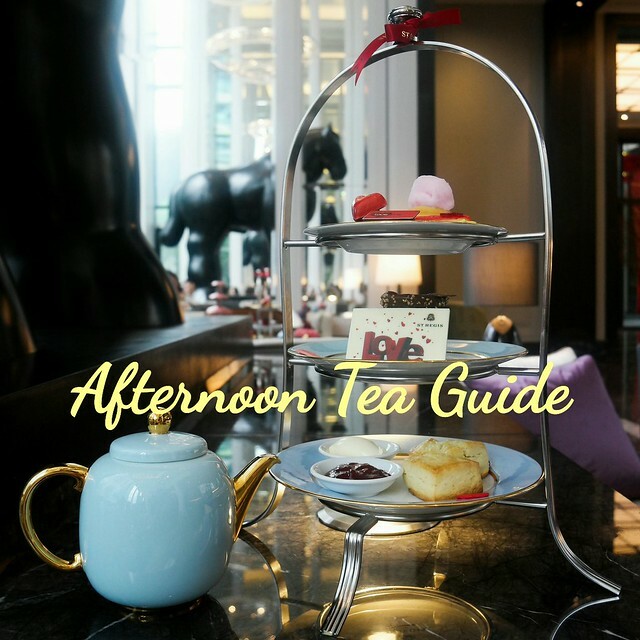 So, i would like to say thanks for given great article on here.